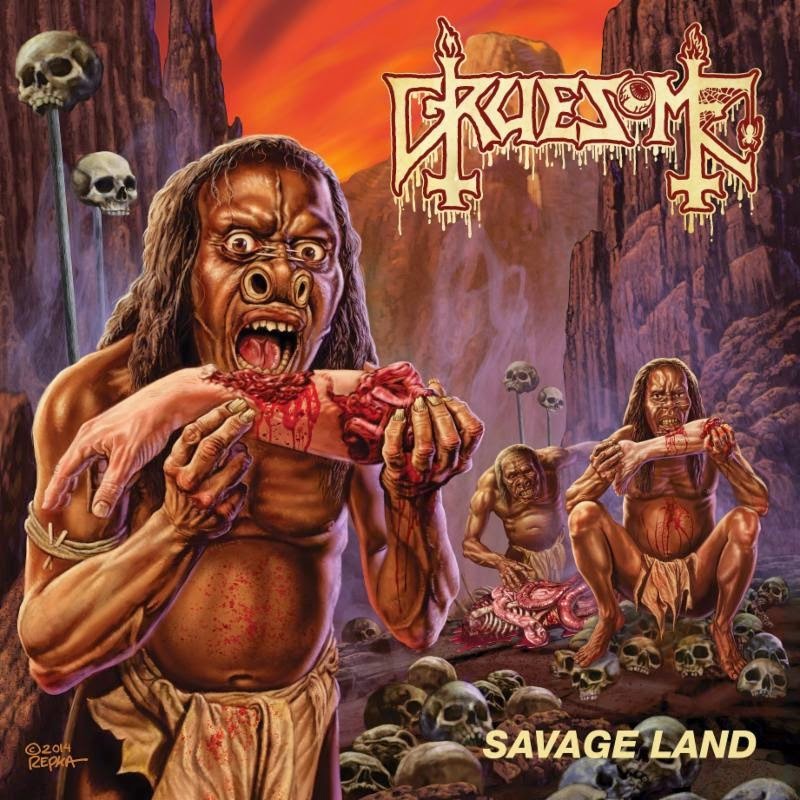 GRUESOME is a debilitating death metal faction featuring members of Exhumed, Possessed, Malevolent Creation and Derketa. A respectful celebration of the sound of the early Death records, the collective was borne out of guitarist/vocalist Matt Harvey (Exhumed) and drummer Gus Rios' (Malevolent Creation) mutual involvement with the Death To All tours -- Harvey serving as frontman for the original nine-member mini-tour and Rios performing "Baptized In Blood" and working with DTA drummer Sean Reinert on the following US tour where Exhumed filled in as support on a several dates. The pair stayed in touch and discussed their mutual love (obsession?) for the early half of Death's catalog. After deliberating and ultimately discarding the idea of putting together another incarnation of DTA to focus exclusively on the first two albums, Harvey half-jokingly suggested writing their own songs in that vein. It wasn't long before the idea gained traction, and the "band" had five songs written. With Harvey composing in California, Rios recruited Possessed guitarist Daniel Gonzalez and Derketa bassist Robin Mazen to record the material in Florida, while Harvey tracked his vocals on the West Coast. The result is eight-track debut, Savage Land, a truly gruesome slab of late-'80s/early-'90s Florida-styled death metal. 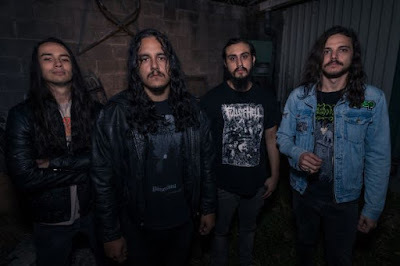 Tragically, there will never be any truly new Death material, but GRUESOME is humbly determined to keeping the band's classic sound alive as faithfully as possible. Elaborates Harvey, "We had such a blast writing and recording this album, I just hope people enjoy it half as much as I enjoyed doing it. It was a great experience working with my friends in Florida and getting to write and record my take on the Death sound. I'm beyond happy with the way everything came out and I hope people take it as the loving, respectful piece of work that it is. I know that sounds counterintuitive for a death metal album, but the whole band is really a super nerdy fan letter to Chuck [Schuldiner], James [Murphy], Rick [Rozz], Terry [Butler], Chris [Reifert], Paul [Masvidal], Sean [Reinert], and Stevie D [DiGiorgio] for making records that have given me literally decades of enjoyment. Having had a chance to meet and hang out with all of those dudes from the early Death days, with the exception of Bill Andrews, has been nothing but humbling, rewarding, enlightening and has only deepened my love for the band and made it that much more personal. So I decided to write an album about '80s horror movies and deadly diseases, which is what anyone would do under the circumstances, right? Anyway, if you like late '80s Death, I sincerely hope you enjoy our take on it, which is really what this album is, with all the drippy blood and inverted crosses in the logo that that implies." Savage Land was recorded by Rios and Gonzalez at Riversound Studios in Fort Lauderdale, Florida, mixed by Jarrett Pritchard at Mana Studios in St. Petersburg, Florida and features a guest guitar solo on "Closed Casket" by James Murphy as well as cover art by legendary illustrator Ed Repka (Death, Megadeth, Massacre, Athiest et el). Check out GRUESOME's Savage Land trailer at THIS LOCATION. Savage Land will be released in North America via Relapse Records on April 21st, 2015, April 17th in Germany, Benelux and Finland and April 20th in the UK and the rest of the world on CD and digitally. For preorders scroll on over to THIS LOCATION. 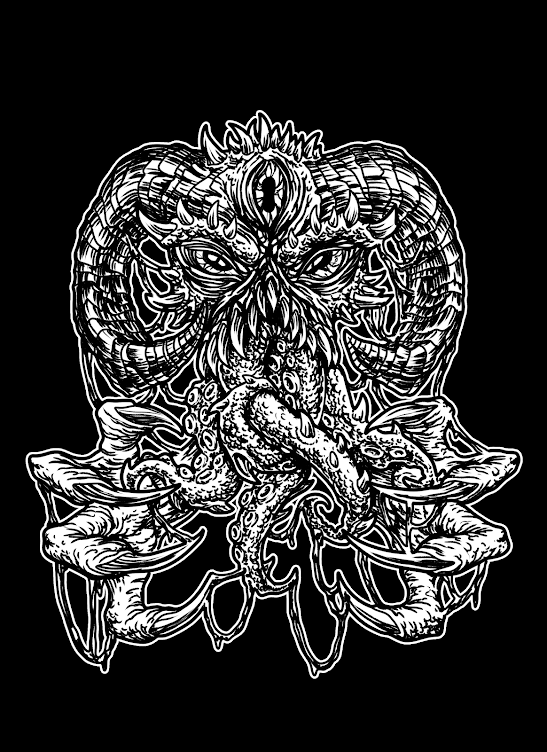 Digital preorders are available via the GRUESOME BandCamp page HERE.